First I would like to wish all you Fathers a Happy Fathers Day, yesterday was my special day as a father as I got to witness my oldest daughter receive her Bachelor of Science degree, very proud moment for us a parent. I hope all you fathers have a great day on June 16. 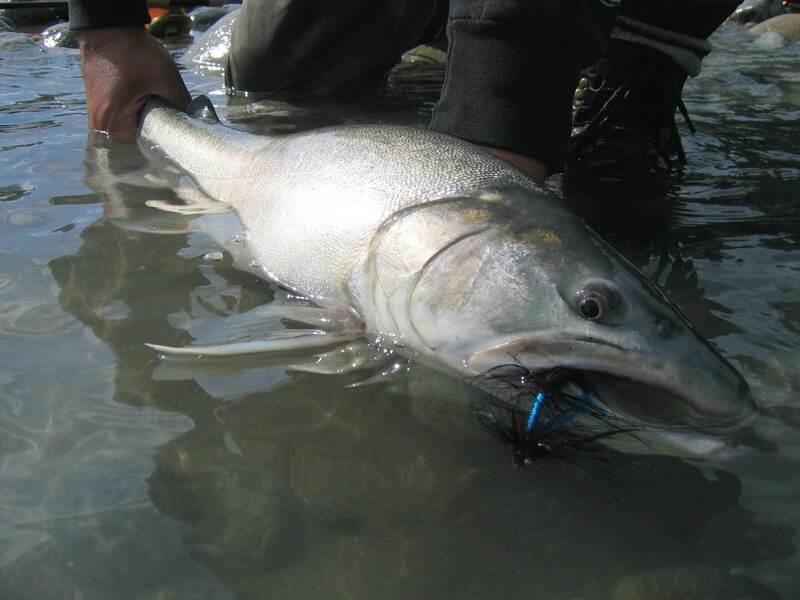 This past week has been good for both salmon and sturgeon in the Vancouver area, the Fraser has risen again due to warm weather and the salmon fishing continues to produce good results. See below for detailed report. 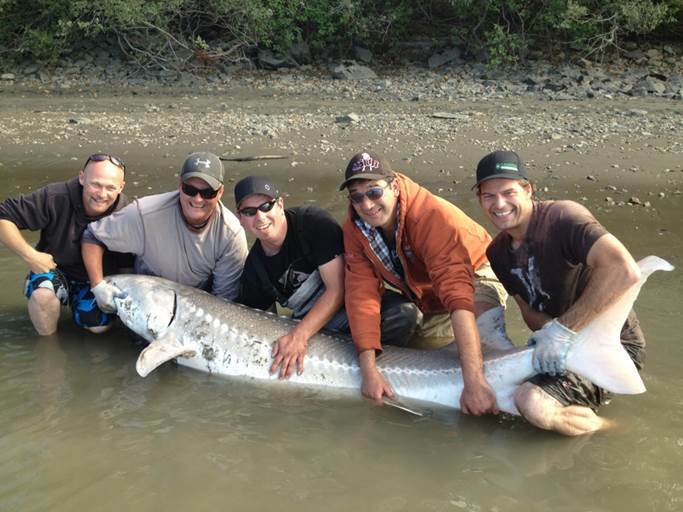 Sturgeon fishing has been fair to good in the Mission area, mostly fish under 6ft but we have heard of a few larger ones being caught as well. 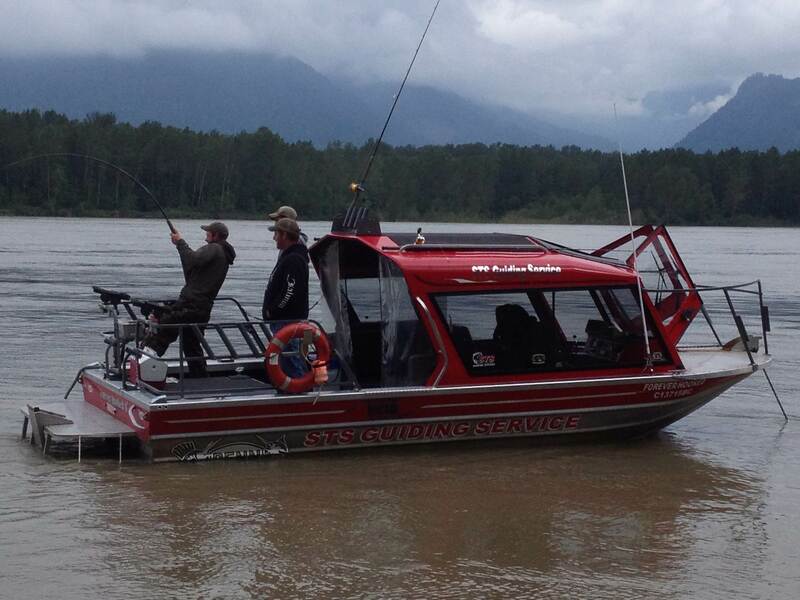 The area between Chilliwack and Hope has fished well this past week and a few good sized fish coming from this area. Best baits have been lamprey and salmon eggs but this is a good time to start trying some local sqaw or cray fish. We were out on the water yesterday fishing for Chinook Salmon, we managed to hook 6 undersized and 1 nice keeper in the 12-13lb range. We did well with the Gibbs G-Force Spoon ( Irish Cream ) these are new and will be soon available at local tackle stores. 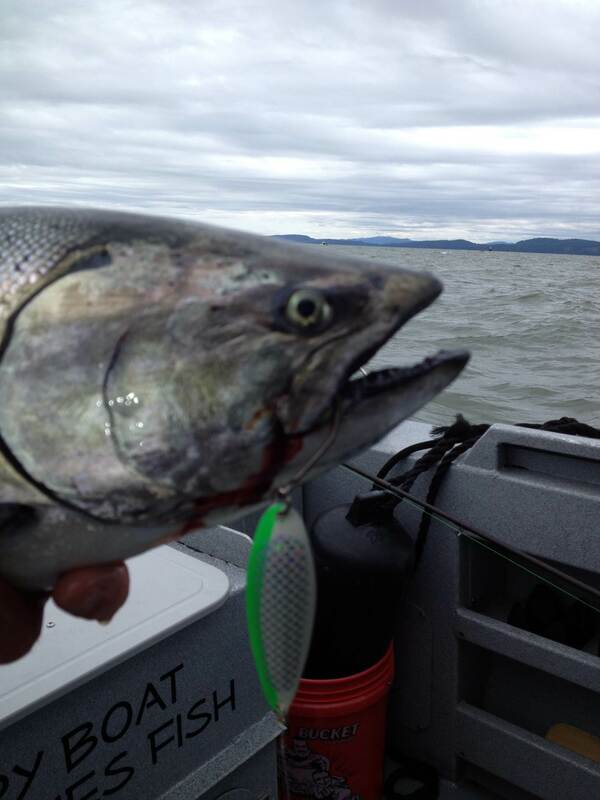 Right now if you are wanting salmon the Gulf Island trip is your best bet. We offer daily trips departing from the Vancouver Delta Airport Hotel location. 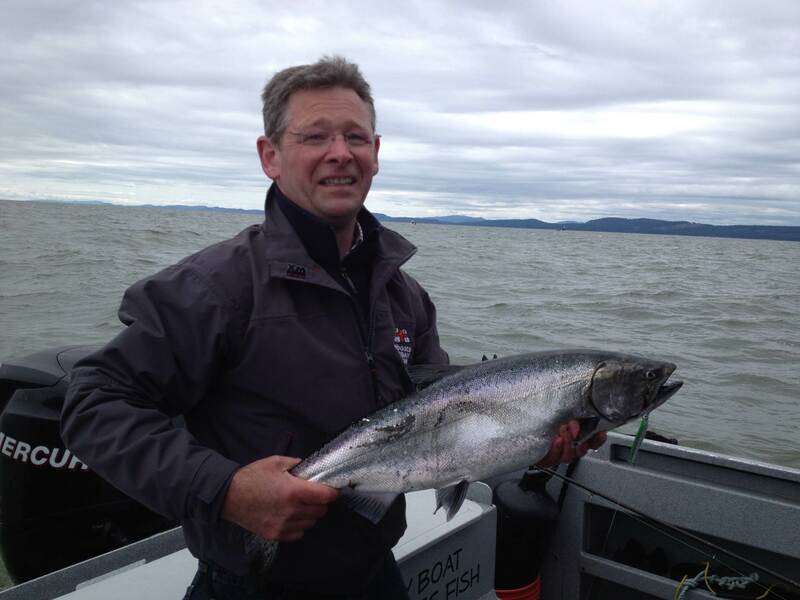 Our guest visiting from Ireland landed his first ever salmon, nice job Kevin. New Gibbs G-Force Spoons are going to do well in this region, this one is called " Irish Cream"
Over the next 6 weeks we will be fishing the Upper Pitt River as often as possible,this river provides anglers a great opporuntity to fish a quality water system right here in our back yard. This fishery is one of our favorites and offers some excellent fishing for both sea-trout and salmon. The river is in great shape and there are some beauties being caught. Give us a call and lets go fish’n. Most of the smaller local rivers are high and will remain high for the next 2 to 3 weeks but we are expecxting some good summer sockeye and pink runs so August/September should be excellent fishing for both salmon and sturgeon. We still have a few seats available for July 27 & 28 tours to Hells Gate, we are also offer daily tours on the Harrison River for $69. August is already sold out for all weekend trips but if you can put your own group together we can fit you in on a Friday or late afternoon trip. If you would like more information on our tours, please give us a call. 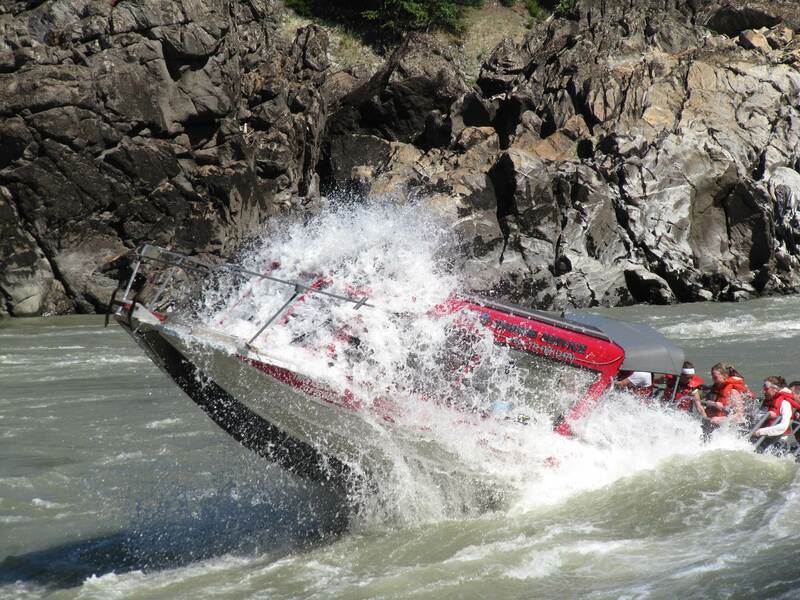 You are currently reading June 15 Fraser River Update at Hells Gate Jet Boat Tours Blog.